A hillside sanctuary in the Northern Beaches, New South Wales, has been crowned the 2018 Australian House of the Year in the 2018 Houses Awards – Australia’s premier residential design awards held by Architecture Media. Selected by a panel of distinguished industry experts, winner Cabbage Tree House by Peter Stutchbury Architecture is a unique, cave-like abode that responds to the landscape and defies residential norms. Each year HotHouse handles the publicity of the Houses Awards which uncover the very best in Australian residential architecture and design. The program recognises how existing and emerging professionals embrace architectural challenges while evolving the definition of the contemporary Australian home. The award-winning home was featured in a special segment on Sunrise, whilst broader media coverage for the Awards dominated design headlines throughout July and August. Cabbage Tree House is joined in its accolades by an outstanding collection of architectural works, including a sloped roof residence in a former paddock, an alteration inspired by a hole in the roof, a restored 1920s ‘Queenslander’ and a micro-domestic apartment. 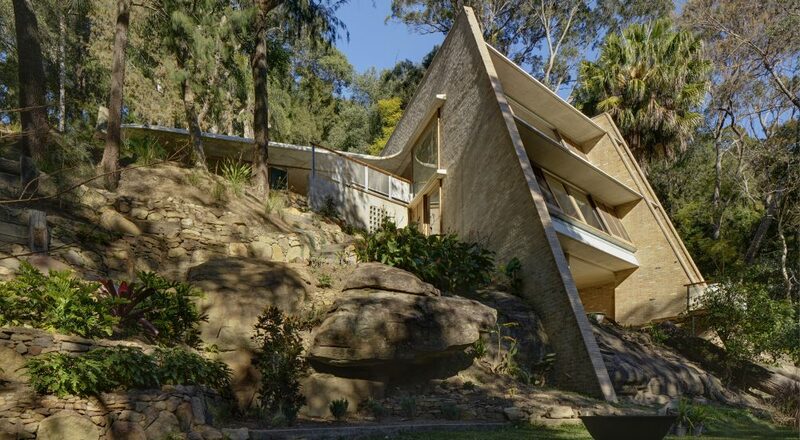 “Cabbage Tree House is wonderfully aspirational, beautifully made, and a joyful expression of landscape and one’s place in nature,” Stuart continued. The complete list of winners and commendations is available on the Houses Awards website – and in the August edition of Houses Magazine on sale now in all good newsagents. For more information regarding our work on the Houses Awards or our communications campaign work in property, architecture and design contact our staff today. ARCHITECTURE · Celebrating Australia’s best practitioners in residential architecture, with our roundup of projects in contention for @housesmagazine's 2018 Houses Awards. _ LINK TO FULL STORY IN BIO ↖ Project – Bruny Island Hideaway by @maguiredevine. Pic @rob_maver.